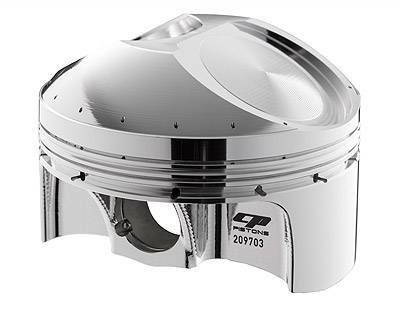 ASF Treatment Besides the obvious shine, ASF (Accelerated Surface Finishing) deburrs and smoothes the surface which reduces carbon build up, possibility of stress risers and also aids in shedding oil from the piston underside. 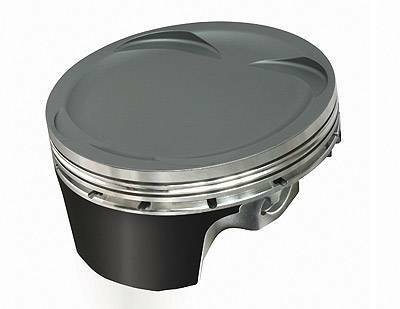 There are different approaches that can be taken, either the entire piston can be treated, or just the dome and underside depending on when the process takes place. 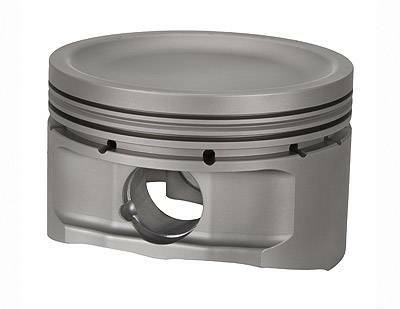 Ceramic Crown Coating This coating reflects heat into the combustion chamber and away from the piston crown, while lowering piston temperatures for increased part life. The engine can experience improved combustion and performance as a result of heat being reflected back into the fuel charge. Hard Anodize Anodizing the piston reduces wear and material transfer. Anodizing can be done to the entire piston or a selective area depending on its usage. 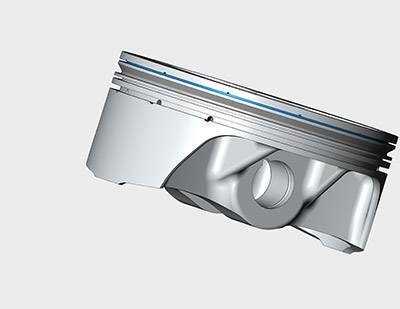 Anodizing the entire piston has been shown to be very durable in drag racing applications. 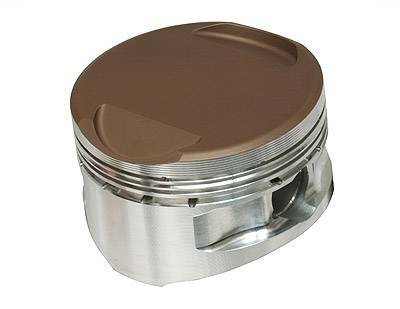 Skirt Coat / Moly Dry Film Coating The application of molybdenum to the piston skirt, used to reduce friction between the piston and the cylinder during engine operation. It also helps during cold start ups and high temperature operation where a substandard oil barrier on the cylinder wall could exist. Top Ring Groove Some pistons require only the ring groove(s) anodized in order to lessen the chance of micro- welding the ring to the aluminum groove. 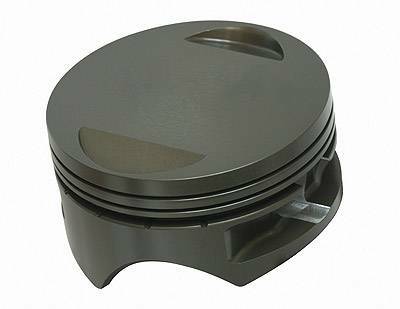 WPC Treatment WPC is a treatment that enhances the surface to reduce friction by firing ultra fine particles towards the surface of a piston or wristpin at very high speeds. The thermal discharge permanently changes the surface, strengthening the structure and creating a harder more durable final product. Its unique micro-dimple formation pattern greatly reduces friction and helps retain oil.